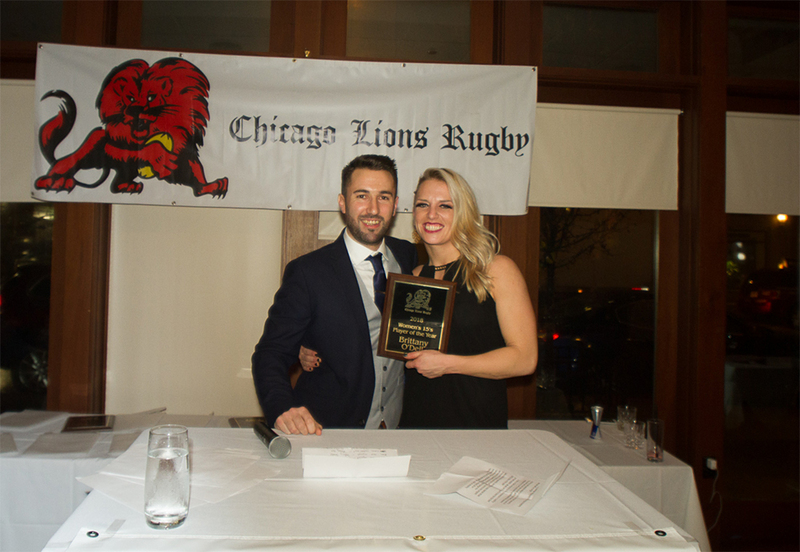 The Lions celebrated our 55th Anniversary last Saturday night, February 23rd with over 120 players, alumni and supporters in attendance. We honored our past, celebrated our present and we look forward to our future. 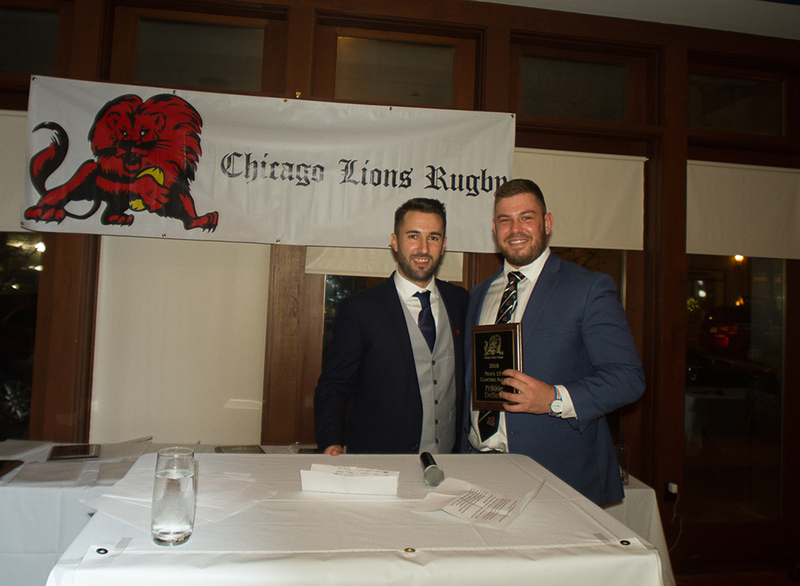 Tony Rio was awarded the prestigious Lowry Lion (see full recipient list). 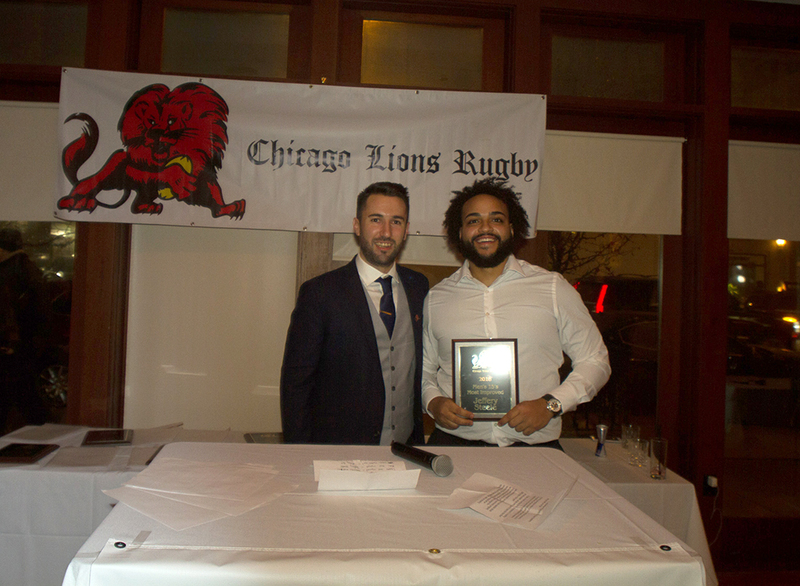 Thank you Tony for your dedication to the Lions. 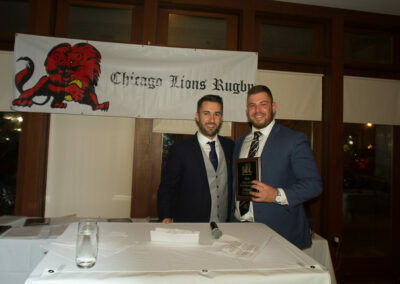 We would like to thank our team sponsors – Athletico and Mark Kaufman, Fresh Wave and CPH. We would like to thank So-G, which is Tony Rio and Bo Gray, for sponsoring the cocktail hour. Larry Zeno and Jim Kearney for each sponsoring half a players table and Pat Bolger for sponsoring some of the high school players. We had five past presidents, six past captains, and eight Lowry Lions in attendance as well as numerous alumni who have donated to the Lions for Hope Complex and the Lions Den recurring donation program. We celebrated our teams’ successes. Last spring, our men’s D1 team made it to the Elite 8, they won their division in the Midwest in the fall and participated in a tightly fought game in the first ever Elite Cup. Our second team moved up to D2 and we increased the size of our depth chart. 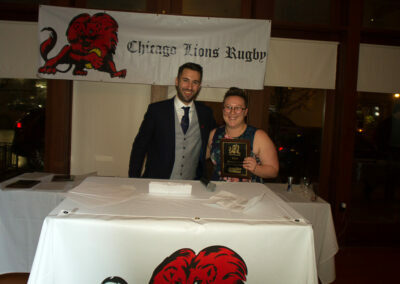 On the women’s side, our 7’s team made it to Nationals and we began our women’s 15’s team this past fall. The women were like the original Lions 55 years ago where they had a dream of building their own team. They took a leap of faith and joined us. 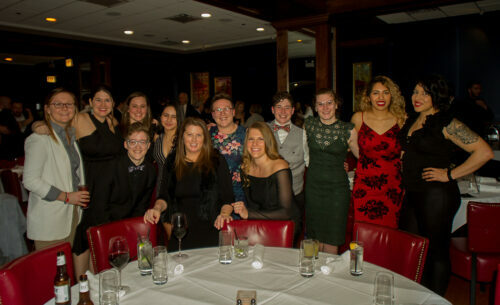 14 women played in our first game up in Minneapolis and won. 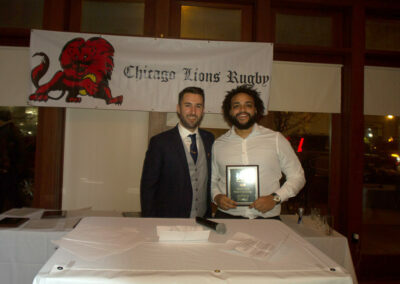 With the hiring of Andy Rose as Director of youth rugby almost a year ago, we began our youth program. 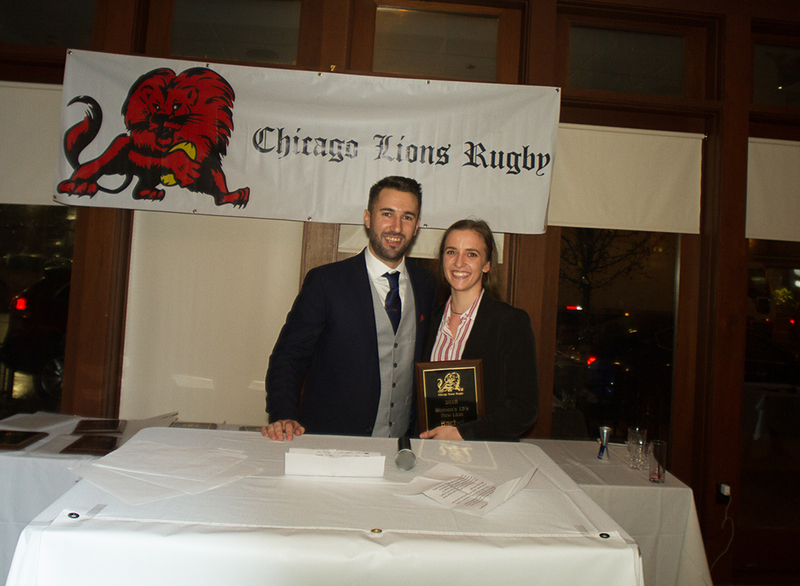 We fielded our first sevens side and hosted our first youth 7’s tournament. 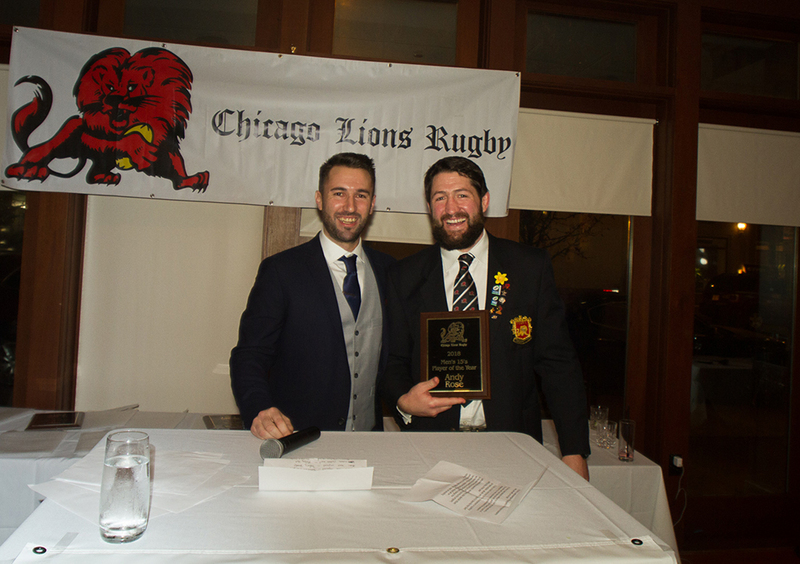 In the fall, we fielded our first ever Lions high school team and Andy has made inroads in some of the local schools. 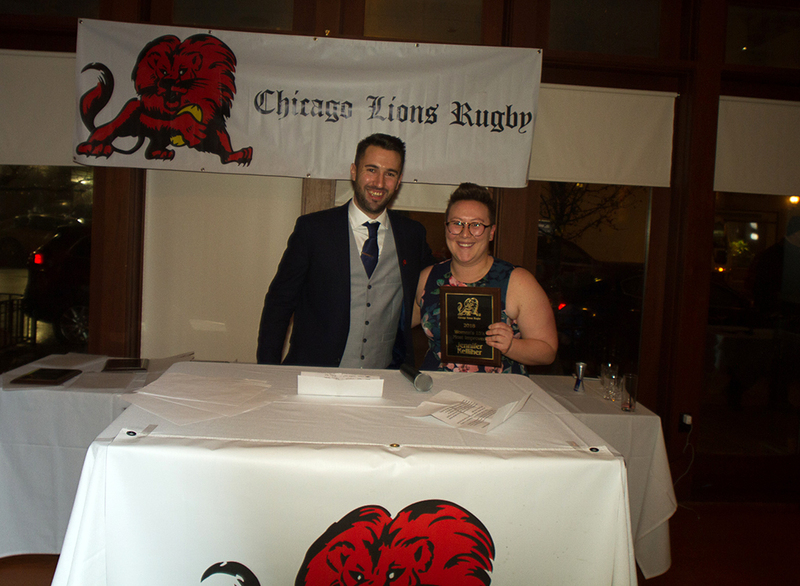 We recognized all our coaches, our Athletico staff, Dr. Levin, and all our volunteers who have all contributed to the success of the Chicago Lions. Without them, none of this would have been possible. 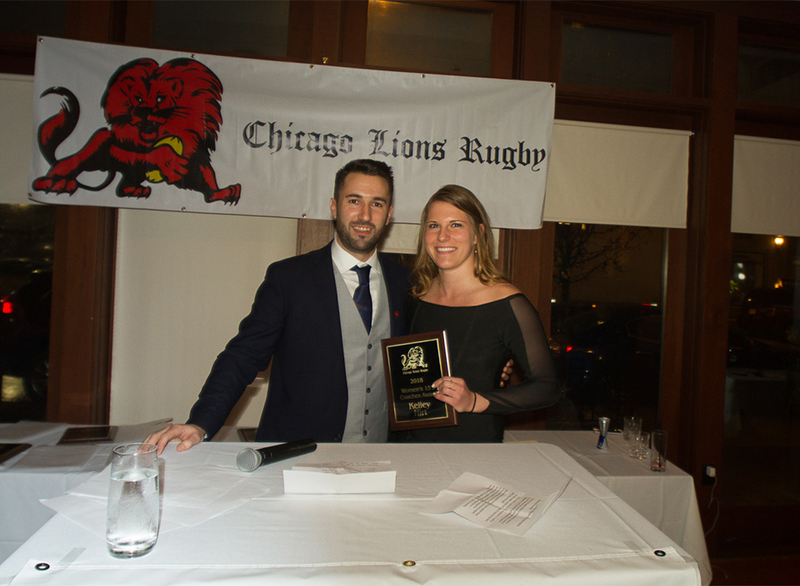 Congratulations to the 2018 Chicago Lions Player award winners!